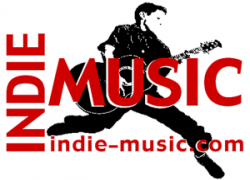 Check in at Indie-Music for your daily music news fix. Serving musicians, fans, and the industry since 1996, we post the latest daily news on indie music - making music and listening to it. We also report on music tech trends, apps, and indie artists who are blazing the next trail. Founded by an idealistic collection of music freaks and industry hacks from the greater Bloomington-Indianapolis, Indiana area in 1996, the company has survived and thrived through sixteen years of change by keeping our ears to the ground and our feet to the street where musicians and industry professional are striving to make those solid-good connections. Founder Suzanne Glass was among the first pioneers of the emerging online and digital music scenes when she brought her idea for Indie-Music to life in the 1990s. With her passing in October 2012, the online professional music community lost a selfless champion of independent artists and DIY mentality. Armed with her expert guidance and passionate spirit, the Indie-Music team continues to provide resources, knowledge and creative solutions to assist independent artists and music professionals in achieving their personal and professional career goals. Indie-Music earns revenues from branding placement directly on our site, which reaches a coveted niche market for instrument retailers, tech startups, producers of pop culture or music related items, and more. Additional revenue stream opportunities are produced through branding efforts supported through our social network base and opt-in subscriber-based e-newsletter and list rentals. Indie-Music participates in a limited number of affiliate marketing and revenue share partnerships on a case-by-case basis. A dedicated and road-tested team thrives on creating results for your bottom line and works to exceed expectations for clients. Indie-Music is open to discussions with suitable parties interested in acquisition, merger, or acqhire arrangements. Send communications and proposals to our Operations contact for consideration.